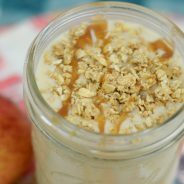 If you are looking for a great dessert that everyone will enjoy then try this Easy Vegan Peach Crisp. 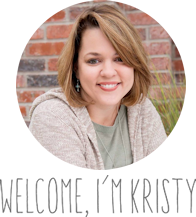 When we have family over especially this time of year for cookouts, we also have a lot of food intolerance and allergies to accommodate. 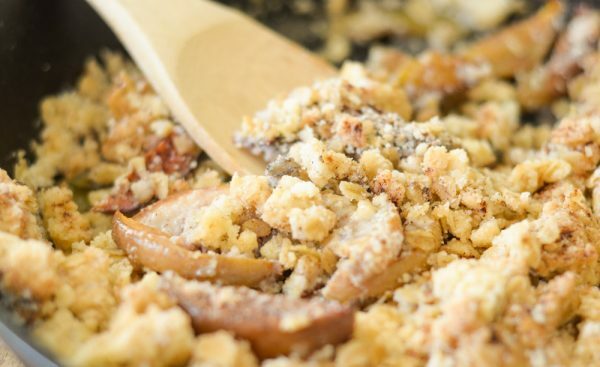 That means this Easy Vegan Peach Crisp is the perfect choice. My nephew was actually born with 22 food allergies, so we always keep that in mind when thinking about what we are serving. There are some foods we absolutely do not serve because it makes him uneasy to be around those such as peanut butter. 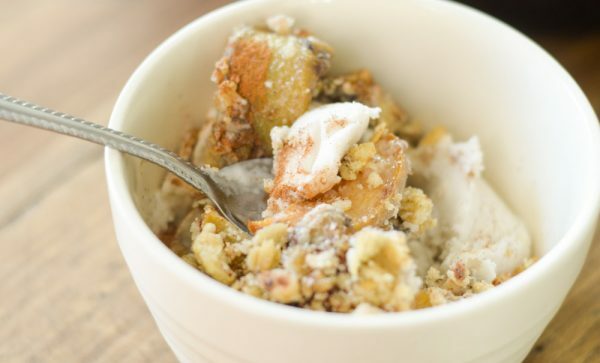 One thing though my sister always does is bring over a dessert he can enjoy too, this Easy Vegan Peach Crisp is the perfect example. I have to admit that my favorite time of the summer season is when our local orchard has their peach festival. Those peaches are just absolutely amazing. 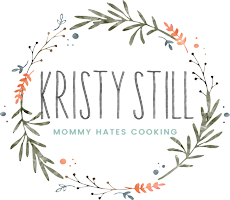 I suddenly start making everything with peach in it, from barbecue sauce to cobbler, pie, and tea…everything ends up with a peach flavor. We even love to make peach salsa too. That is by far my favorite. 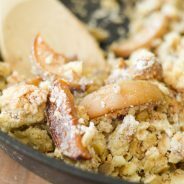 When making this peach crisp, the key is to get some ripe, juicy peaches because the flavor is really going to come through with the natural sweetener that is in those peaches. This dessert is much more low sugar than a traditional cobbler. We also pair ours with vegan ice cream like a coconut milk ice cream. 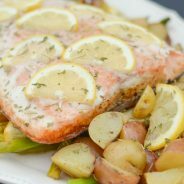 One major switch with this recipe in comparison with a traditional cobbler, I use Pompeian Smooth Extra Virgin Olive Oil. 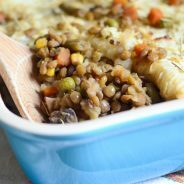 This swap replaces the need for butter, which also makes it easy to make Vegan without having to buy specialty ingredients. 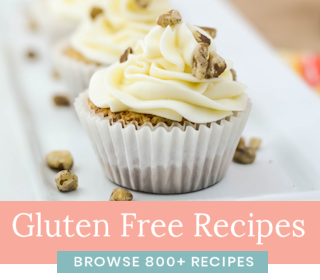 This allows some real experimentation in the kitchen with a healthier dessert, which is certainly #TrendingintheKitchen. 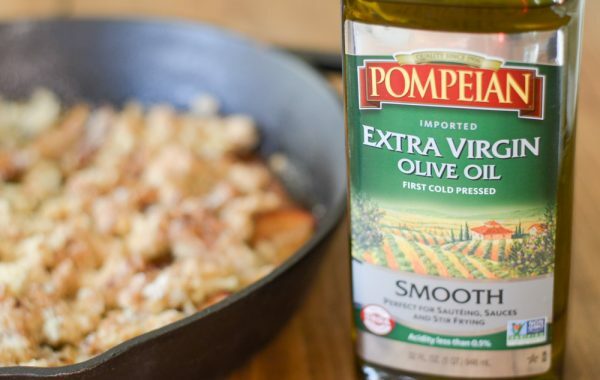 Pompeian Smooth Extra Virgin Olive Oil provides a subtle fruity flavor that has notes of apple and sweet almonds. This pairs wonderfully with the Vegan Peach Crisp. This olive oil has received the USDA Quality Monitored Seal. This seal ensures you are getting the best product with rigorous standards being met. 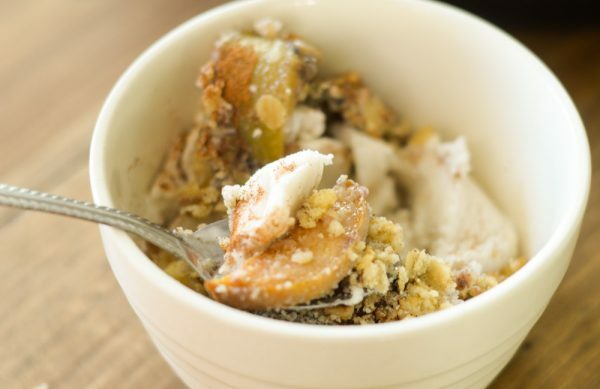 Now, it’s time to enjoy this wonderful Vegan Peach Crisp. It’s time to try a bite, remember grab the most juicy peaches you can find then enjoy that wonderful flavor. 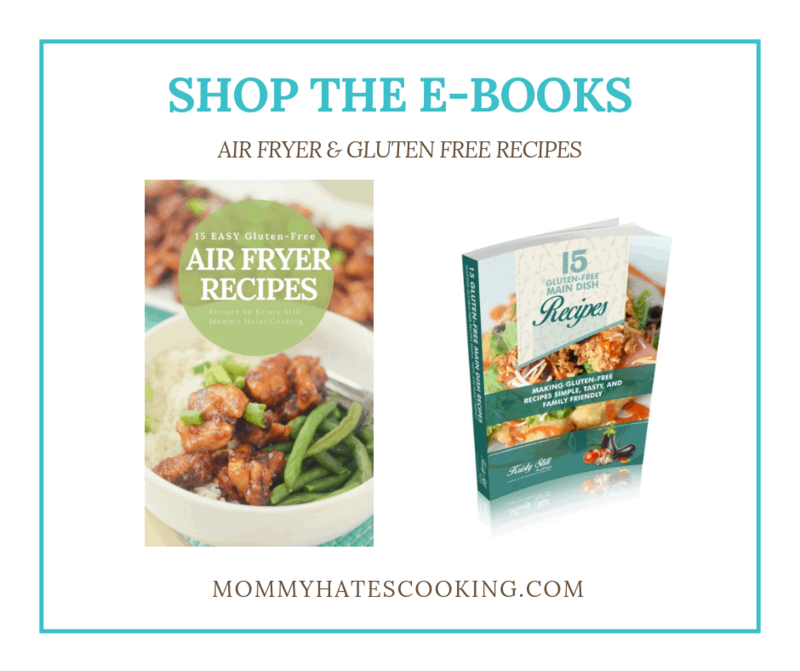 Enjoy this after eating Vegan Shepherd’s Pie for dinner. 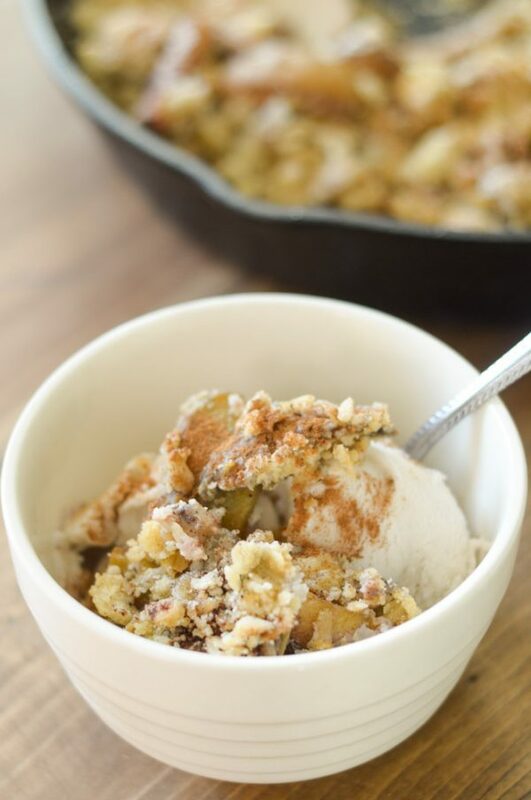 Make a great dessert with this Vegan Peach Crisp! 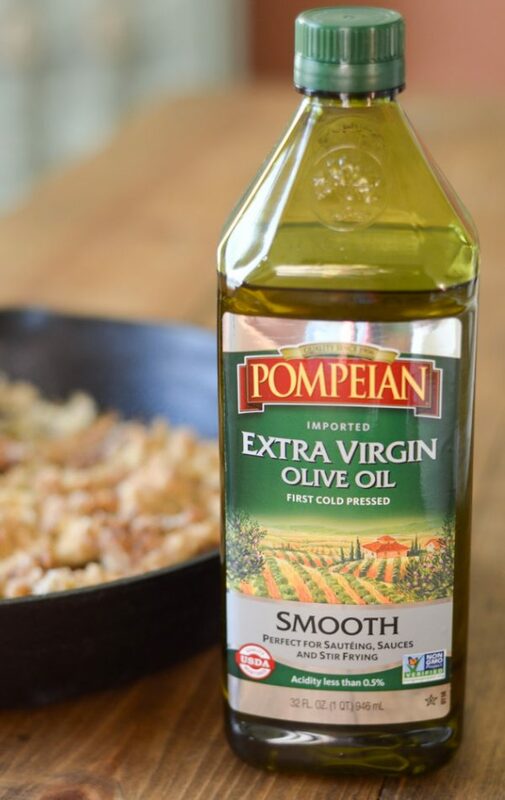 Spray a round cast iron dish or baking dish with Pompeian Organic Extra Virgin Olive Oil Spray. Place the peaches in the dish. Top with the nutmeg and cinnamon. Evenly pour the water on top. 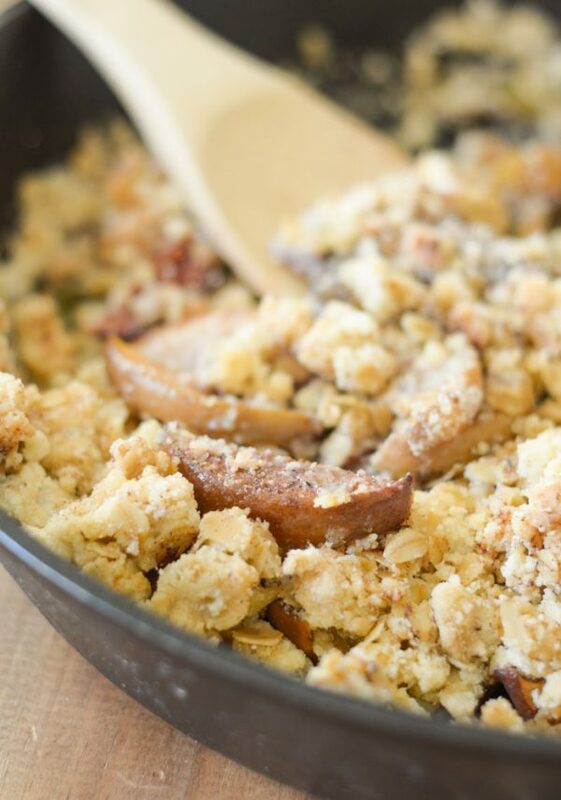 In another bowl, combine the oats, flour, brown sugar, baking powder, baking soda, and the olive oil until it becomes a butter like consistency. Pat it evenly on top of the peaches. Add another dash of cinnamon if you prefer. Bake for 45 minutes on 350 degrees or until nicely browned. Serve with your choice of vegan ice cream if preferred.